This free downloadable art book features the Train ABC – a different train-themed art activity for every letter of the alphabet! This Valentine’s Day Play Dough was a fun activity that involved finding heart gems then making play dough cookies! Here are ten amazing Valentine fine motor play ideas for some heart-shaped fun! 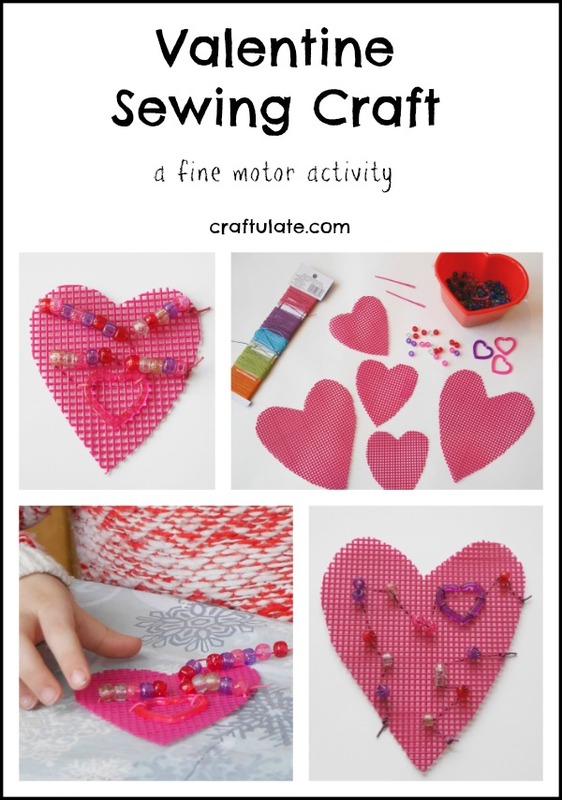 This Valentine Sewing Craft is a fun way for kids to get some seasonal fine motor practice! This adorable footprint penguin is a fun winter craft! This Valentine match activity works on size and colour matching as well as fine motor skills! Can You Name Twenty Trucks? Can you name twenty trucks? If you can’t, we have the products for you! No glue or paint is needed for this snowflake art – it is mess free! These trains in ice were a fun winter science activity!